Petkin flea wipes provide a fast, convenient way to keep your pet clean and free from fleas and ticks everyday. Each extra soft wipe is enriched with a synergistic blend of lemon grass oil and peppermint oil to help repel fleas and ticks, while maintaining a clean, healthy pet. 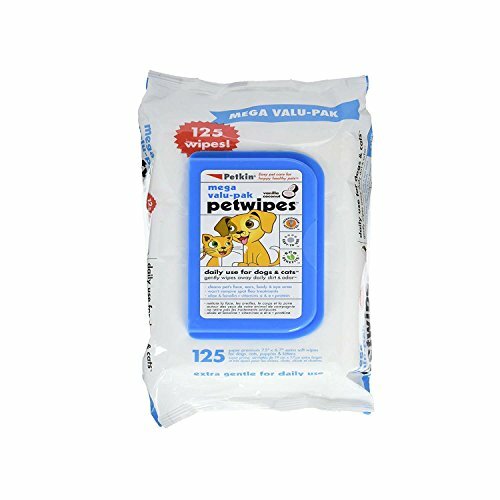 Petkin flea wipes is gentle enough to use everyday from head to tail.